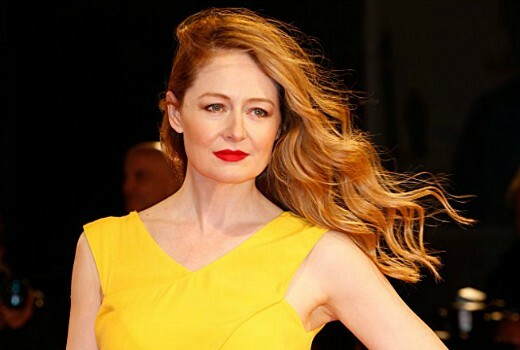 Miranda Otto joins Riverdale spin-off, Sabrina. Aussie Miranda Otto has been cast in the unnamed Riverdale spin-off, for Netflix. Based on the Archie Comics graphic novel The Chilling Adventures of Sabrina,, the series will see Otto play Aunt Zelda. The new TV version will star Kiernan Shipka (Mad Men) and be, like its predecessor, a dark reimagining of the original, with plenty of horror, the occult and witchcraft. Already described as in the vein of Rosemary’s Baby and The Exorcist, it finds Sabrina Spellman wrestling to reconcile her dual nature as a half-witch, half-mortal while fighting the evil forces that threaten her, her family and the daylight world humans inhabit. She is an empowered young woman who is just beginning her dark education as a sorceress, even as she tries to maintain a normal life as a sophomore at Baxter High. Intelligent, compassionate and brave to the point of recklessness, Sabrina is all that stands between us and the forces of darkness that threaten our world. Zelda is described as proud and devout, who believes there is no greater honour than serving the Dark Lord as a member of the Church of Night. She is the family’s disciplinarian, fiercely protective of Sabrina, and very much Cain to Hilda’s (Lucy Davis) Abel. Michelle Gomez (Doctor Who) has also been cast. Otto’s recent international TV dramas have included 24: Legacy, Homeland and Rake (US). The series was developed at The CW but was eventually given a 2 season order by Netflix. Sabrina has previously spawned animated versions, films and 1996’s version with Melissa Joan Hart. I would have been all over a “dark” continuation of the 1996 series with Beth Broderick, Caroline Rhea, Nick Bakay, and Melissa Joan Hart reprising their roles, perhaps with now adult Sabrina balancing motherhood and banishing demons to the netherworld? I know that ship has now sailed, but one can dream. The original series is too childish and corny for me to go back to. Fun to watch as a kid though. But then Sabrina wouldn’t have been a teen any more. Through all the changes to Archie and Sabrina in current iterations the one constant is that somehow they always remain young. More “in the vein of” ‘Buffy’, I’d say.